(NaturalNews) The U.S. is vulnerable to cyber attacks from China and other countries capable of shutting down the power grid and disabling vital infrastructure, according to Admiral Michael Rogers, head of both the National Security Agency and the U.S. Cyber Command. Rogers recently warned the House Intelligence Committee: "We're seeing multiple nation-states invest in those kinds of capabilities." 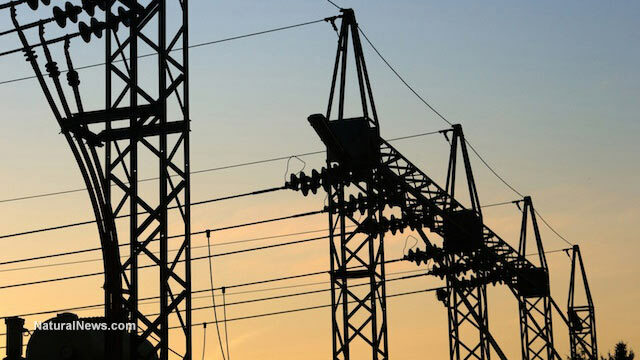 Cybersecurity firm Mondiant confirmed that China had hacked into U.S. utility systems and has the knowledge potential to exploit vulnerabilities and shut down or disrupt them. Rogers says this could allow Chinese hackers "to shut down very segmented, very tailored parts of our infrastructure that forestall the ability to provide that service to us as citizens." Such an attack could have catastrophic effects, to say the least. Rogers agreed with recent predictions that a major cyber attack will occur within the next decade: "It is only a matter of the when, not the if, that we are going to see something traumatic." China is not the only player in the cyber warfare game. Although Rogers declined to name other countries involved, it's generally acknowledged that Russia has advanced cyber warfare capabilities. Indeed, Russia is suspected to be behind the development of a sophisticated cyber weapon known as Snake, sometimes called Ouroboros, after the Greek mythological serpent. Snake/Ouroboros has been used in cyberattacks against the Ukrainian government and has been detected in computer systems of several other countries, including Britain. Snake resembles an earlier piece of malware that managed to penetrate the Pentagon's computer system several years ago. The newer, advanced version of Snake is capable of much more than its predecessors, according to experts. British security firm BAE calls it "one of the most sophisticated and persistent threats we track." The U.S. government appears to have its own cyber weapons program. The attacks on Iran's nuclear reactors by the Stuxnet worm are widely suspected to be the result of cooperation between American and Israeli intelligence agencies, who are reputed to have developed and/or deployed the malware jointly. American authorities have never admitted to being involved in the operation, but documents leaked by Edward Snowden, former NSA employee-turned-fugitive whistleblower, reveal that the U.S. has advanced cyberespionage capabilities. Although Snake does not appear to yet have the capability to shut down a nuclear centrifuge, as Stuxnet did, there is little doubt that China, Russia and many other countries are continuing to develop even more powerful cyber weapons. Nations conceal involvement through "cyber hit men for hire"
There is also evidence that various governments are increasingly hiring "surrogates" to perform their cyber attacks for them, in an attempt to conceal their own involvement. There are "cyber hit men for hire," according to Rep. Mike Rogers, R-Michigan, who is retiring as head of the House Intelligence Committee. Cyber warfare could prove to be just as devastating as conventional warfare. Imagine a massive attack on America's infrastructure and power grid - perhaps in the dead of winter. Within a very short time, millions of people could be in serious trouble. We can expect the continued development of dangerous cyber weapons on the part of nation-states with the help of criminal hacker teams, while our government will no doubt continue to pursue its own cyberespionage activities. Much of the evidence suggests that a sort of cyber arms race is already taking place among the world's most powerful nations. Let's hope that the U.S. government is spending as much time and money defending us against a potential cyberattack as it is creating its own cyber weapons.